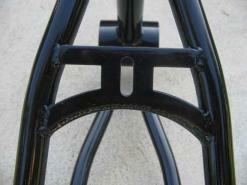 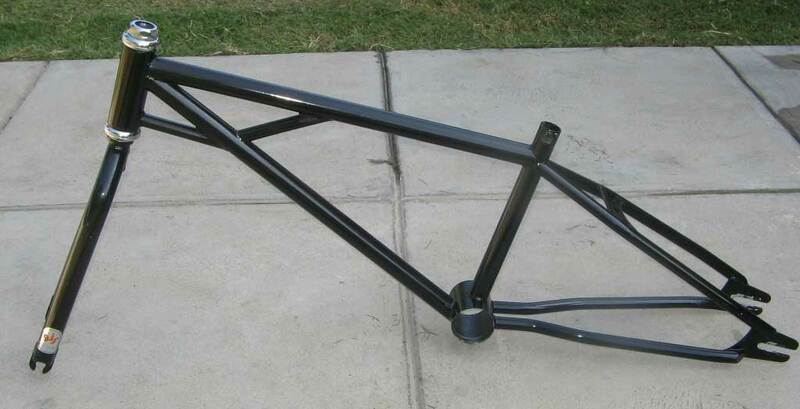 The frame has been repainted with black laquer and the forks are NOS. 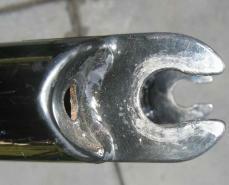 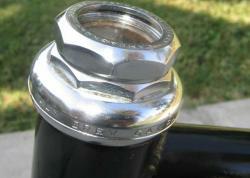 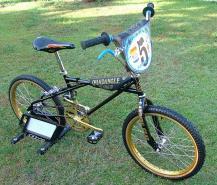 I found the forks on a NOS 1977 Schwinn competition 4130 20". 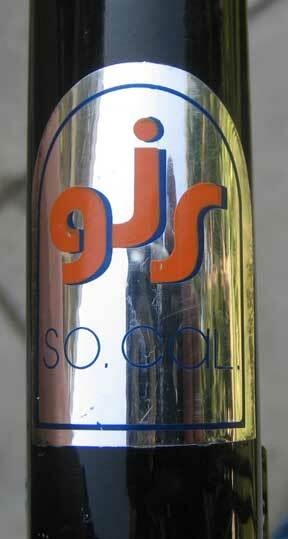 GJS frame came with a campy headset.